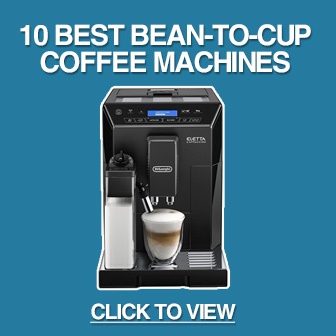 Gaggia Brera Bean-to-Cup Review - Is it Worth the Money? 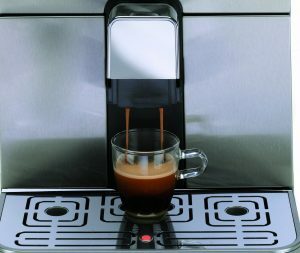 The Gaggia Brera is a quirky appliance made by what many consider to be the original coffee machine brand. It features an attractive stainless steel front panel, several coffee customisation options and a ceramic burr grinder – all for a reasonable price tag. But does it live up to the “on paper” specification? And does it provide value for money? That’s what we aim to uncover in this review. At first glance, the Gaggia Brera bean-to-cup coffee machine is an attractive option with a range of customisation features. In this section, we provide a more in-depth overview of some of the key features of this product. The Brera has an easy-access water compartment. With a stainless steel front panel, the Brera is an attractive appliance that wouldn’t look out of place in a professional environment. It’s not made entirely of steel, however, with plastic sides and primary control knob. While it’s a shame that these parts let down the quality feel of the rest of the machine, they aren’t a major problem and it still looks great on a kitchen work-surface. The control panel is designed to be simple and intuitive to use with just four buttons for on/off, water quantity and coffee strength. There is also a dial for selecting the mode. The ceramic burr grinder is located on the top of the machine and has a number of settings for coarseness. The great thing about a ceramic grinder is that it produces less heat when grinding beans, which prevents flavour evaporating and maintains aroma. Ceramics are also inert, so grinding shouldn’t change the flavour of the beans. One feature we really like on the Gaggia is the standby mode. This automatically activates after an hour and uses less than 1W/hour, saving you money on your energy bills. For frothing milk, the Brera comes with a “rapid steam” pipe. This takes just 9 seconds to heat up, so you won’t be waiting long for your cappuccino or latte. There are dual outputs for producing one or two cups of espresso. Like most bean-to-cup machines, the Brera takes both beans and ground coffee. If you enjoy decaf coffee, this feature is vital. 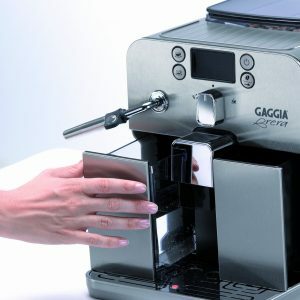 The grinder has a knob for adjusting coarseness, and you can also adjust the espresso strength using a button on the front of the machine (3 options). Additionally, there is a button to choose between long coffee and espresso. For those times when you need an extra caffeine boost, the Brera has an option for double shots. Instead of just forcing double the water through the ground coffee, however, the machine actually grinds a second load of beans. This maintains the taste and aroma of the coffee. To the left of the control panel are two buttons for adjusting coffee volume. While this is a standard feature on most bean-to-cup machines, the design makes it simple to adjust the quantity depending on your cup size. You can also adjust the height of the coffee dispenser. We recommended setting the dispenser just above the top of the cup, as this improves the crema. The espresso from fresh beans isn’t quite up to the standard of the best bean-to-cup coffee machines, but it’s pretty close. It also produces fantastic espresso from ground coffee. The milk frother helps produce an excellent cappuccino. The Brera includes a milk frother for making cappuccinos. The pipe froths milk relatively quickly and the resulting cappuccino tastes great. A downside to the stylish exterior is that it requires more cleaning. The finish is quick to mark and requires extra attention to remain looking its best. 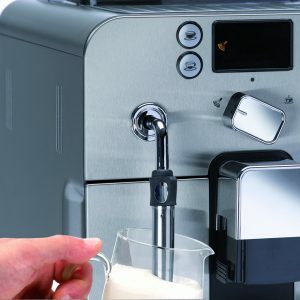 This means you’ll need to spend more time maintaining it than alternative machines, such as the Delonghi Esam 4000.b Magnifica. Moving onto the interior, the Brera has a rinse cycle when you switch on or off the machine. This is fine for basic maintenance, but you’ll need to regularly clean components such as the brewing unit. Fortunately, this has been designed to be easy to remove. Be aware that when you turn on the Brera it will automatically start the rinsing process, so you need to have a mug under the water spout to make sure you catch it. The Brera will notify you when it needs to be descaled. There are some excellent YouTube videos for descaling the Brera, and we recommend following these to keep your machine in top condition. There are also instructions on how to use a brush to clean the brew head. Choosing between beans and ground coffee allows you to switch blend without removing the beans. A warmer is included to pre-warm your cups. The water tank is easy to access. Ground coffee waste can be emptied quickly from the front of the machine. 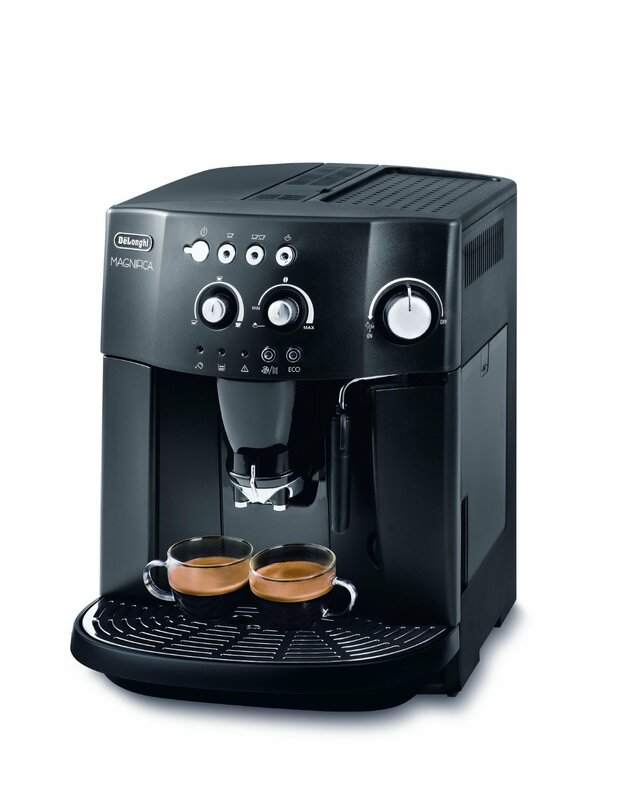 The Gaggia Brera has an RRP of over £600. At that price, we think there are better options available (this model was originally released back in 2010). You can often find the Brera for around £400-£450 though, depending on which deals are available from major retailers, and at this price it’s an excellent option. Additionally, the Brera has been available for a number of years and has proven to be reliable. It produces excellent espresso (although the quality also depends on the beans you use). The range of customisation options allow you to make your ideal coffee. The Brera is simple to operate and doesn’t take long to learn how to use. It’s relatively easy to clean. This is important, as it needs cleaning regularly to stay in top condition. The stainless steel front panel is attractive and provides a classier feel than the plastic sides. Unlike many cheaper bean-to-cup coffee machines, the Brera provides piping hot coffee. The machine requires you to refill it more frequently than some other machines due to its longer rinse cycle. While the descaling program is important, it can take some time as it includes a number of steps. The drip tray needs to be emptied frequently. The Brera’s steam wand is great for simple frothing but doesn’t create the consistency required for latte art. The Gaggia Brera isn’t the fastest or most advanced bean-to-cup coffee machine on the market – but it makes a great espresso. And if you love cappuccino, the milk frother is quick and produces milk that mixes well with the coffee. The coffee taste, combined with the reasonable price and energy saving mode, make the Brera one of our top recommendations. Click here to view its price. 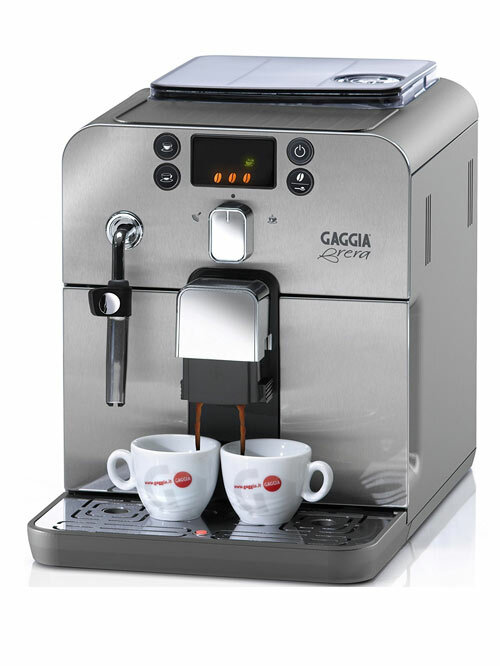 The Gaggia Brera is an excellent bean-to-cup machine for both espresso and cappuccino. While it's not cheap, the stylish design and great performance make it an option to consider.